We’re so happy to announce the arrival of Isabelle. She was born on January 15, at 12:57 in the morning, weighing 6 lb 1 oz. My OB was out of town over the weekend and told me, “I want to deliver your baby. Try to hold on until I get back on the 13th.” I crossed my fingers (and my legs), and sure enough I went into labor the morning of the 14th. Twenty-four hours later, Isabelle was here. 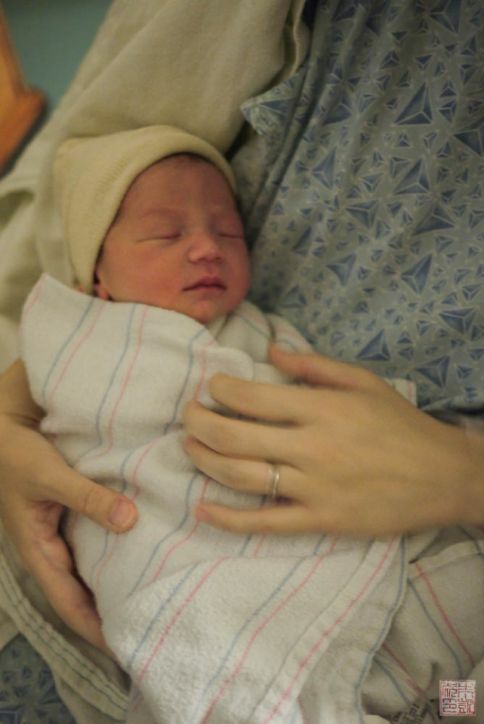 She was also born just a month before the end of the Chinese Year of the Dragon, squeaking in under the wire and undoubtedly pleasing all my Chinese relatives who were hoping for a dragon baby. Hopefully she’ll maintain her impeccable sense of timing throughout her life. We’re certainly glad she’s here. This is one of the very first pictures taken of Isabelle, taken by Mike. 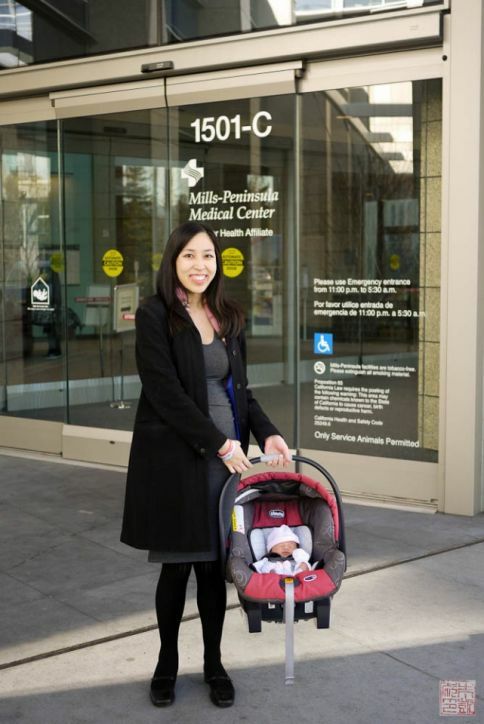 People have commented that she looks unusually aware and mature for a newborn barely an hour old. She has since reverted to looking more like a “regular” newborn, but I am glad we got to capture her first serene moments in this world. I think she’s pretty cute, but I’m sure I’m biased:) She feeds like a champion and she actually sleeps fairly well at night. We are enjoying this for as long it lasts (obviously, as new parents, we’ve learned not to take anything for granted). We received wonderful care from the doctors and nurses at the hospital and were almost sad to leave (having a nurse offer to care for the baby for a couple hours so I could get some sleep is a luxury I already sorely miss!) But really, we’re happy to be back home and learning how to be a family together. For those of you wondering about the canine member of our family, I’m happy to report that Snickers is adjusting well to baby. She was intensely curious about Isabelle when we came home, doing everything she could to see and sniff her. 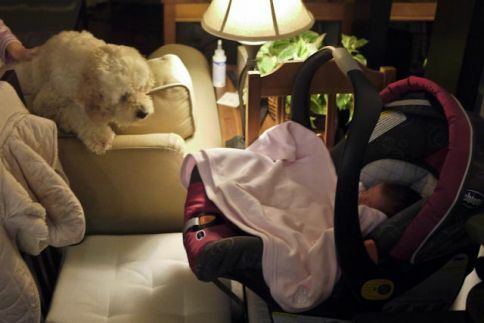 You can see below where she’s trying to climb over the sofa to get a closer look at baby. I was reminded of the Disney movie Lady and the Tramp. Hopefully Snickers ends up as fond of the baby as Lady does in the movie! Thank you to all of you who have sent well wishes, advice, and shared your experiences over the last nine months. I’ll be back soon as we get adjusted to life with Isabelle. My congratulations! Both you and Isabelle look great! may you both be healthy, happy and smiling every day! Sincerely, Aleksandra. Mazal Tov and Congratulations on Isabelle’s birth! You look so happy and she is just sweet as sweet can be. All the best! Enjoy every moment- it goes so fast! She is beautiful!!!! My little man has only been around for 11 days so I know what you’re going through right now 🙂 Sending you lots of sleep! Wow, we had our babies at almost the same time! Congrats to you too, hope things are going well! Best wishes to you and your family! Congratulations Anita! I´m so happy for you, she looks very very cute. Congratulations on the arrival of your precious daughter! Enjoy every minute with her! Love your blog, by the way!!! 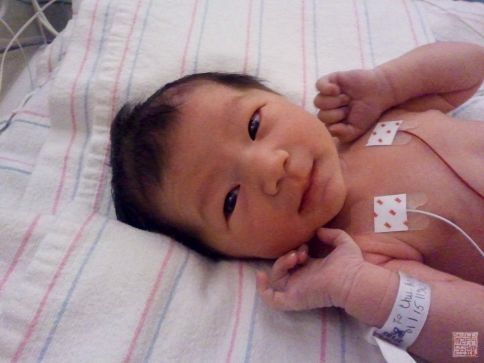 Congratulations to the lucky parents for Isabelle, she is so pretty. Get your time that you will need now. Congratultions! Your Isabelle is beautiful! Congratulations and welcome to the most amazing ride of your life! My little dragon baby is nearly a year old now and it’s just awesome. Your little Isabelle is lovely and I will bring you such joy. Again, congratulations! Welcome Isabelle and congratulation to you!! !Timing is not a bad things… hope she will be healthy and happy and you guys to have the best experience as new parents.For us Adele has been a real blessing and she brought a lot of joy we didn’t think possible! Wow congrats with your little princess, she looks sooo adorable! Congratulations to all. She’s adorable. I’m sure there is a sweet dessert in the making to honor her. Can’t wait. Awwww congratulations!!!! She is beautiful. And wow, lucky that she was born right after your OB got back into town! Great timing. Hooray! I had a feeling your absence from the blog was a result of welcoming the baby. Congratulations, she is so precious! PS- is that Mills-Peninsula in Burlingame? I delivered my firstborn there. Congrats to both you and Mike! Geoff and I are so happy for you 🙂 Isabelle looks absolutely beautiful! She is absolutely beautiful!!!! What a gorgeous baby. Congrats! awe congratulations, she is perfect! Congrats!!! Enjoy your time with her, these moments are precious… My baby was born 9 months ago, he’s such a blessing in my life!!! Wish all the best for the family! Congratulations! She’s absolutely beautiful. Enjoy this time with her, it does go by fast. Belated congratulations, Anita! Your darling Isabelle does like to be a baby with lots of wisdom. And she’s born under the year of the dragon! Woo too! Watch out world. I trust blessings and happiness will multiply as you watch your darling girl grow. i was obviously under a rock! Congratulations and Welcome baby Isabelle! Congrats Anita! She is beautiful! She’s beautiful! and very glad I found your blog today (thanks to Pinterest) I’ve already marked a bunch of recipes to try, starting with the cherry coconut tart.